Sometimes you find a recipe that is truly perfect all on its own. Except that you don't have this ingredient or you're out of that ingredient. Or it's a bit more complicated than you'd like and you're feeling a little bit lazier than usual. This is one of those recipes. The original credit goes to Mark Sisson; you can find the recipe here. His recipe is amazing; I know this because I've made it several times. The dish is a wonderful combination of flavors: shrimp, macadamia nuts, coconut, lime. Seriously, the lime makes the recipe. Don't skip! The reason for my own tweaks? I was missing shallots, and I really wasn't feeling the food processor. I love my food processor, but I don't like cleaning my food processor. So when I was overly tired the other night and looking for something simple to throw together, I realized I had most of the ingredients for this dish (and an extra ingredient or two) and figured with a little ingenuity, all I needed to do was create the lazy man's version! Heat coconut oil in a wok or medium skillet on medium low heat. Add garlic and onion and cook until fragrant, but just before the garlic turns golden brown. Add macadamia nuts and toss gently for a minute to lightly toast. Turn up heat to medium. 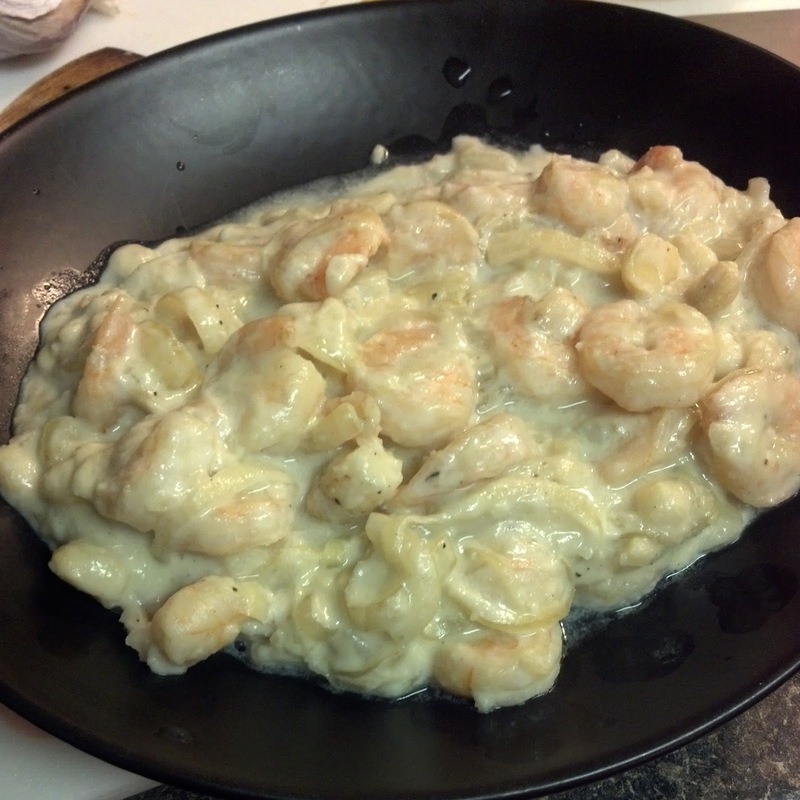 Add shrimp and allow to lightly sear. Add coconut manna and allow it to start to melt, then incorporate coconut cream. Salt and pepper to taste. Continue to cook for 2-3 minutes or until shrimp is thoroughly cooked. Transfer to serving dish(es). Top with lime juice to taste. Enjoy while hot!